Send a letter to the U.N. High Commissioner of Human Rights demanding Ana's release! Ana Belen Montes was on February 28th, 1957 in Western Germany, where her military-officer father was based as an Army doctor. In 1979, when she was 22 years old, the University of Virginia granted her a bachelor’s Degree in International Relations. Later on, she acquired a Master’s Degree in this specialty. In 1985 she was hired by the Defense Intelligence Agency (DIA), due to her capabilities, she was sent to the Air Force Base in Bolling, Washington, where she worked as a specialist in intelligence investigation. In 1992 was promoted to the Pentagon as an analyst. Using a fake position, she was located for a while in the diplomatic representation in La Habana in order to study the Cuban military. In 1998 she was sent again by the DIA to the island to observe Pope John Paul II’s visit to the island. Ana was known to be polite, modest and always smiling. While living alone in a simple apartment on the north side of Washington D.C., she climbed up the professional ladder until she became a top level analyst at the Pentagon, Senior Analyst. She rapidly was granted access to almost everything known to the intelligence community related to Cuba. Due to her position, she belonged to a secret, “inter-agency working group on Cuba”, gathering all most important analysts in federal agencies, such as the CIA, the White House itself and the State Department. Allegedly for 16 years, she shared the information at her disposal with Cuba. She felt the U.S. government’s actions against Cuba were unethical and un fair. On September 21st, 2001, she was arrested by FBI agents while in her office at the DIA headquarters in the Bolling Air Base in Washington DC. Some days later she was accused of “conspiracy to commit espionage” in favor of Cuba. She pleaded guilty for her actions. 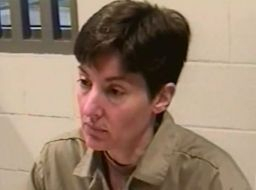 On October 16th, 2002, she was sentenced to 25 years in prison with no parole. Eventually, she was transferred to the Federal Medical Center, Carswell, within the U.S.A .Navy military Base in Fort Worth, Texas. This federal prison is for criminals with mental or physical illness; she is confined in the psychiatric area, although she is free from any illness of this kind. Her release date is scheduled for July 1st, 2023. She’s wasn't allowed to receive any visits other than her immediate family. She's wasn't allowed to use a telephone. She’s wasn't allowed to receive any mail. Nobody was able to learn about her health or the reason why she’s being kept in a psychiatric institution although she is not mentally ill. Letters directed to her were returned by certified mail. She wasn't allowed to see television or read newspapers. She wasn't allowed to interact with other inmates. 1. Ana can ONLY receive correspondence from relatives or friends who belong to a limited list of 20 people, who knew her before her imprisonment. 3. Ana can ONLY receive visits from the same limited group of people she corresponds with. 4. Ana is ONLY allowed to speak to her mother every week. 5. Although she may NOW interact with other prisoners, the mental conditions of much of the population of Carswell make it difficult for Ana to develop friendships within the prison. The Federal Bureau of Prisons says she is allowed to have contact only with close family members, because she is accused of espionage. Ana Montes never did anything to deserve such harsh, inhumane treatment. She didn’t kill anyone, didn’t harm anyone, and was motivated only by the purest of reasons. She never received any money from the Cuban government nor was she recruited through any sordid blackmail tactic. She did not act out of vengeance or desire to obtain power in any way. None of the information she shared with Cuba jeopardized national security. “An Italian proverb perhaps best describes the fundamental truth I believe in: `All the world is one country.' In such a 'world-country,' the principle of loving one's neighbor as much as oneself seems, to me, to be the essential guide to harmonious relations between all of our ''nation-neighborhoods.'' This principle urges tolerance and understanding for the different ways of others. It asks that we treat other nations the way we wish to be treated -- with respect and compassion. It is a principle that, tragically, I believe we have never applied to Cuba. Your honor, I engaged in the activity that brought me before you because I obeyed my conscience rather than the law. I believe our government's policy towards Cuba is cruel and unfair, profoundly un-neighborly, and I felt morally obligated to help the island defend itself from our efforts to impose our values and our political system on it. We have displayed intolerance and contempt towards Cuba for most of the last four decades. We have never respected Cuba's right to make its own journey towards its own ideals of equality and justice. I do not understand why we must continue to dictate how the Cubans should select their leaders, who their leaders cannot be, and what laws are appropriate in their land. Why can't we let Cuba pursue its own internal journey, as the United States has been doing for over two centuries? My way of responding to our Cuba policy may have been morally wrong. Perhaps Cuba's right to exist free of political and economic coercion did not justify giving the island classified information to help it defend itself. I can only say that I did what I thought right to counter a grave injustice. My greatest desire is to see amicable relations emerge between the United States and Cuba. I hope my case in some way will encourage our government to abandon its hostility towards Cuba and to work with Havana in a spirit of tolerance, mutual respect, and understanding. Today we see more clearly than ever that intolerance and hatred -- by individuals or governments -- spread only pain and suffering. I hope for a U.S. policy that is based instead on neighborly love, a policy that recognizes that Cuba, like any nation, wants to be treated with dignity and not with contempt. Such a policy would bring our government back in harmony with the compassion and generosity of the American people. It would allow Cubans and Americans to learn from and share with each other. It would enable Cuba to drop its defensive measures and experiment more easily with changes. And it would permit the two neighbors to work together and with other nations to promote tolerance and cooperation in our one `world-country,' in our only 'world-homeland.